Yesterday is rightly being called a 'black Monday'. Lehman has gone. Merrill Lynch has gone. AIG is teetering. HBOS looks like one for the lifeboat. There will be more. The financial markets as we know them have failed. More important, the political philosophy that has backed them has failed. Neo-liberalism has to die, for good. With it must go Gordon Brown; too long an apologist for City abuse. George Osborne is no alternative though; his dedication to this cause is much more deep seated. This is the time for radical action that puts people before markets, countries before capital, tax on capital before tax on labour. What we need are capital controls to slow the disastrous liquidity that markets have created. 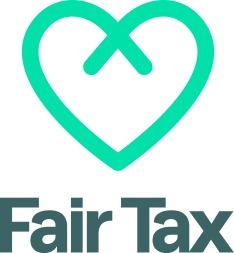 What we need is an end to the abuse of transparency and taxation in tax havens. What we need is significant re-regulation of the banks and international commerce. What we need is a reduction in tax on labour and the reintroduction of surcharges on taxes on capital. What we need are capital gains taxed as income. What we need are government dedicated to meeting the real needs of real people, not the needs of those who wish to transfer wealth at cost to society through financial markets. What we need is to address the future. We need to address global warming. Energy security, Food security. Financial security. New employment in real jobs for real people. And an end to speculation. What we need is a New Deal. The politician who rises to the challenge will win, and so will we all. But are there any out there? That's the real crisis of our time. Spot on Richard, and I back you most of the way, but you ignored – and I appreciate still do! – the elephants in the room: Debt and Money. Debt – Public, Corporate and Private is cited by many as the problem of our day. it is not! It is the symptom. Lack of money is the problem – “Debt-free” [i.e. interest free ** see below] Sovereign money in particular. You recently disagreed with my attestation that – apart from QE which all cascaded via banks and pension funds into inflating the value of existing assets – no new money has been created FOR THE ECONOMY since 1970. In 1970 there was c. £100bn in the economy half of which was BOE sovereign money and half created by commercial banks credit [i.e. debt]. that was an effective balance and represents how Capitalism can work. Unfortunately following deregulation of banking in the 70s/80s. In 2008 there was still just £50bn BOE money in the economy but c. £2 trillion [c. 98% of M3] that had been created by commercial banks. I admit to not being clear whether this includes all the money that has poured into property values via mortgages – please do advise! Effectively what happened was that our financial sector hijacked the Consumer Economy and Capitalism and has turned it into a Rentier Economy and Rentier Capitalism. 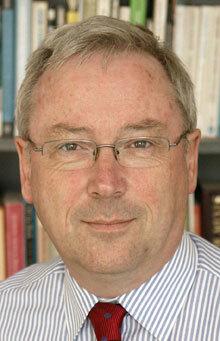 We can regain control and Adair Turner recommended as much in 2013 in his speech at the INET conference in Hong Kong. He proposed along with IMF researcher, Michael Kumhof, progressively hiking up banking capital reserve requirements to 30%, taking up slack with [a] new Sovereign money and [b] progressively driving investors/savers/pension/insurance funds away from Treasury Bonds towards Corporate bonds. As you rightly point out all that has happened since 2008 is a pathetic movement of banking capital reserve requirements from a sure-fire insolvency zone of 2% to a potential insolvency zone of 6%. Surely “Balancing the budget” precipitates a stagnant Sovereign money supply and this realisation confirms that Taxation neither has to precede nor equate to government spending. It is surely there to “balance the economy” not “the books”. We need a “sea-change” in the understanding of what money is and how it functions. Too few politicians, economists, bankers, accountants, journalists, commentators have a clue – largely because what they were taught at university/college was misguided propaganda! If 98% of our money is created [under state licence] as debt then it is inevitable that repayment of debt [i.e. austerity] of any sort will remove money from the economy whether it be repayment of treasury bonds or consumer credit cards or mortgages. In the light of this taxation is simply an ancillary adjustment to the monetary base. Therefore under a debt based monetary system such as ours where the cost of money looms large in the finances of both government and families we lose one of the main tools that government has to control and direct our affairs. Surely? Austerity has nit repaid debt. It created more of it. Moved a long way if there’s any enforcement. 2008, ah I remember it well. It was the early digital age before Wifi for so many of us. Nowadays so much more can happen so much quicker. Indeed it is possible for us all to go bust, including governments, without knowing it and when we do it is far too late. See you in the workhouse. The article you reference refers to ‘the global economy has been undergoing a sustained period of synchronized growth’ – really? Worse it contains the following assertion: ‘The space for fiscal stimulus is already limited by massive public debt’. Do you really believe this to be the case? The moral corruption in government and of course the financial sector is still there and it’s just a matter of time before this corruption creates another engineered recession based on private sector debt.